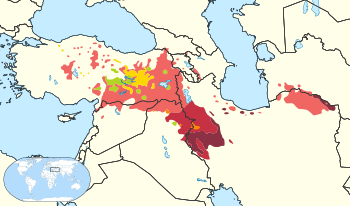 Central Kurdish (کوردیی ناوەندی; kurdîy nawendî), also called Sorani (سۆرانی; Soranî) is a Kurdish language spoken in Iraq, mainly in Iraqi Kurdistan, as well as the Kurdistan Province of western Iran. Central Kurdish is one of the two official languages of Iraq, along with Arabic, and is in political documents simply referred to as "Kurdish". The term Sorani, named after the former Soran Emirate, is used especially to refer to a written, standardized form of Central Kurdish written in the Sorani alphabet developed from the Persian alphabet in the 1920s by Sa'íd Sidqi Kaban and Taufiq Wahby. In Sulaymaniyah (Silêmanî), the Ottoman Empire had created a secondary school, the Rushdiye, graduates from which could go to Istanbul to continue to study there. This allowed Central Kurdish, which was spoken in Silêmanî, to progressively replace Hawrami dialects as the literary vehicle for Kurdish. Central Kurdish is written with a modified Persian alphabet. This is in contrast to the other main Kurdish language, Northern Kurdish (Kurmanji), which is spoken mainly in Turkey and is usually written in the Latin alphabet. However, during the past decade, official TV in Iraqi Kurdistan has mainly used the Latin script for Central Kurdish. Around 3 million Kurds in Iranian Kurdistan. Located south of Lake Urmia that stretches roughly to the outside of Kermanshah. Around 3 million Kurds in Iraqi Kurdistan, including the Sorani tribe. Most of the Kurds who use it are found in the vicinity of Hewlêr (Erbil), Sulaymaniyah (Silêmanî), Kirkuk and Diyala Governorate. Mukriyani; The language spoken south of Lake Urmia with Mahabad as its center, including the cities of Piranshahr and the Kurdish speaking part of Naghadeh. This region is traditionally known as Mukriyan. Ardalani, spoken in the cities of Sanandaj, Marivan, Kamyaran, Divandarreh and Dehgolan in Kordestan province and the Kurdish speaking parts of Tekab and Shahindej in West Azerbaijan province. This region is known as Ardalan. Hawlari, spoken in and around the city of Hawler (Erbil) in Iraqi Kurdistan and Oshnavieh. Its main distinction is changing the consonant /l/ into /r/ in many words. Babani, spoken in and around the city of Sulaymaniya in Iraq and the cities of Saghez, Baneh, Bokan and Sardasht in Iran. There are no pronouns to distinguish between masculine and feminine and no verb inflection to signal gender. As a main program, Iranian Kurdish-speaker scholar, Hamid Hassani, is supposed to compile a Sorani Kurdish Corpus, consisting of one million words. ↑ Hammarström, Harald; Forkel, Robert; Haspelmath, Martin; Bank, Sebastian, eds. (2016). "Central Kurdish". Glottolog 2.7. Jena: Max Planck Institute for the Science of Human History. ↑ Allison, Christine (2012). The Yezidi Oral Tradition in Iraqi Kurdistan. Routledge. ISBN 978-1-136-74655-0. "However, it was the southern dialect of Kurdish, Central Kurdish, the majority language of the Iraqi Kurds, which received sanction as an official language of Iraq." 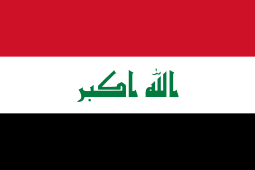 ↑ "Iraqi Kurds". Cal.org. Retrieved 2012-07-15. ↑ "Language background of major refugee groups to the UK - Refugee Council". Languages.refugeecouncil.org.uk. Retrieved 2012-07-15. ↑ "Kurdistan Democratic Party-Iraq". Knn.u-net.com. Archived from the original on 2012-08-07. Retrieved 2012-07-15. ↑ SIL Ethnologue (2013) under "Central Kurdish" gives a 2009 estimate of 3.5 million speakers in Iraq and an undated estimate of 3.25 speakers in Iran. ↑ "Kurdish language issue and a divisive approach | Kurdish Academy of Language". Kurdishacademy.org. Retrieved 2012-07-15.